The PanoLunarTourbillon, a sophisticated look with a 40mm case in red gold. 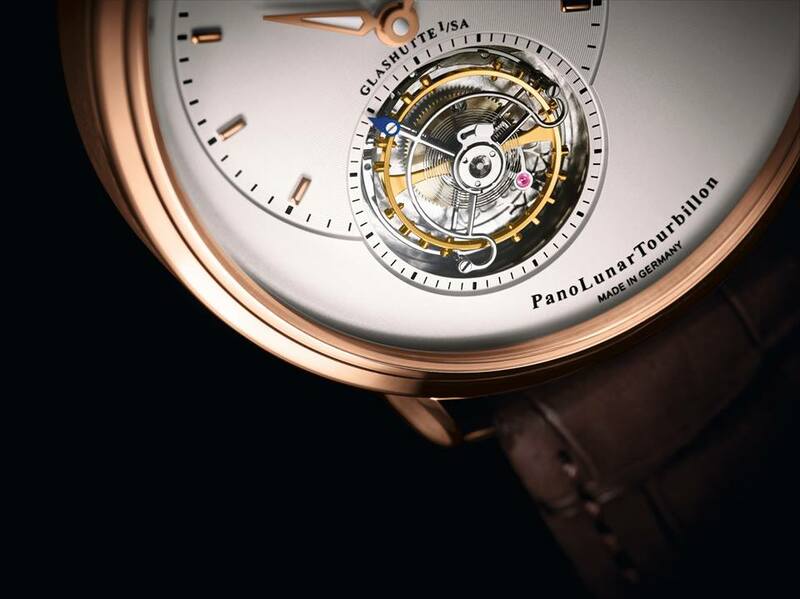 The PanoLunarTourbillon takes up the sophisticated look with a 40mm case in red gold and a warm silver dial. The characteristic symmetric design of the Pano timepieces finds the large hour/minute dial positioned to the left of centre, in alignment with the Flying Tourbillon set within it and centred at hour seven. The model’s Panorama Date display to the lower right presents black numerals on an ivory coloured ground, perfectly matched with the warm silver dial. The Flying Tourbillon was developed in 1920 by the master craftsman Alfred Helwig, one of Germany’s most remarkable watchmakers and instructor, who taught at the German School of Watchmaking in Glashütte beginning with the year 1913.